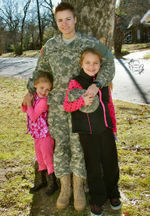 Heather D. Clark with her two daughters while still in the U.S. Army. 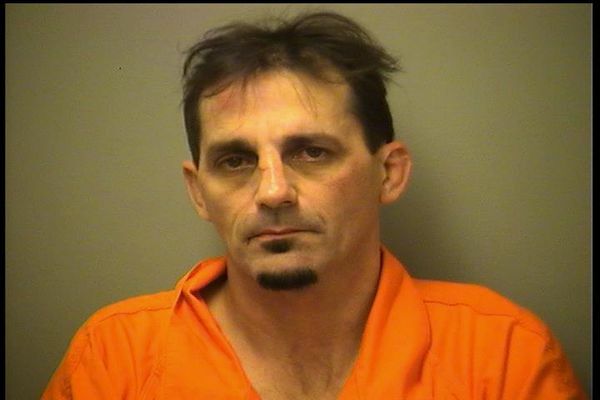 BAY CITY, MI – A Tennessee man is heading to prison for then drunken crash that killed a U.S. Army veteran and mother of two, who had recently relocated to Bay County from Tennessee. Bay County Circuit Judge Joseph K. Sheeran on Monday, Jan. 14, sentenced David L. Denman, 47, to nine to 15 years in prison. The judge gave him credit for 443 days already served in the county jail. Sheeran also ordered Denman to pay $220,156.35 in restitution to an insurance company in regard to what the company spent on the surviving driver Denman injured in his drunken crash. Denman in December pleaded guilty to single counts of operating a motor vehicle while intoxicated causing death and operating while license suspended, denied, or revoked causing death. In exchange, the prosecution dismissed a count of failing to stop at the scene of an accident when at fault causing death. The crash occurred the night of Oct. 27, 2017, or early the next morning and resulted in the death of 27-year-old Heather D. Clark. “I would like to say that I do feel that I got justice today,” said Clark’s mother, Loree Ditgen, who made the trip to the sentencing from her Florida home. “I also want to say that I’m sorry to David’s family. I know how hard this was on them. My daughter will be forever missed, and I hope that people realize not to drink and drive. Denman’s attorney, Jason P. Gower, expressed his condolences to Clark’s loved ones on behalf of his client. “Mr. Denman and his entire family morn and pray for Heather Clark and her entire family, in particular her two daughters,” he said. Heather Clark, 27, was a mother of two young girls. Clark, a mother of two daughters, would have turned 28 on Nov. 8, 2017. She retired from the U.S. Army with an honorable discharge in September 2015 at the rank of private first class (E-3), family previously said. 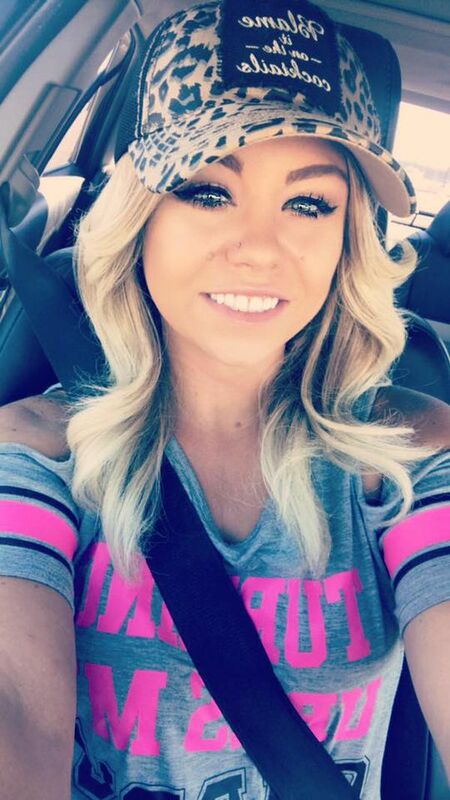 She later lived with a boyfriend in Knoxville, Tennessee, before moving to Michigan in October 2016 to live with her father and stepmother in Sanford. Shortly after the crash happened, Bay County Sheriff’s deputies responded to the scene in the 600 block of North Garfield Road in Garfield Township and found a black Chevrolet Silverado on its roof, blocking a driveway. Medical personnel were treating its driver, 25-year-old Caleb A. Lapan, but were unable to find his passenger, Clark. Deputies also spotted a black 2004 Mercedes-Benz in a field on the opposite side of the road. It had sustained heavy front-end damage and its driver’s side airbag had been deployed, court records show. The car was unoccupied, with deputies noting footprints leaving from the driver’s side door and heading toward the road. Deputies found a pill bottle bearing Denman’s name, an electronic cigarette and a cellphone. The car was registered to another man in Tennessee. Speaking with deputies, Lapan said he had been driving his truck south on North Garfield. He was talking with Clark when he was suddenly rear-ended, he said. The next thing he knew, he was climbing out of the wreckage, he said. After an extensive search, Garfield Township firefighters found Clark still pinned inside the truck. They used the Jaws of Life to open the vehicle and extract Clark. Medical personnel pronounced her dead at the scene. Northern Bay Ambulance transported Lapan to an area hospital. Meanwhile, the Michigan State Police Trooper 3 helicopter and the Arenac County Sheriff’s K9 Unit responded to the scene to help find the Mercedes-Benz driver. More than an hour later, Bay County Central Dispatch received calls from two residences on West Anderson Road. Both callers said a man was pounding on their doors, screaming that his vehicle was in a ditch. The helicopter responded to the area and detected a heat signature under a small pine tree. Deputies went to this spot and found a sopping wet, mud-caked Denman lying under the tree.